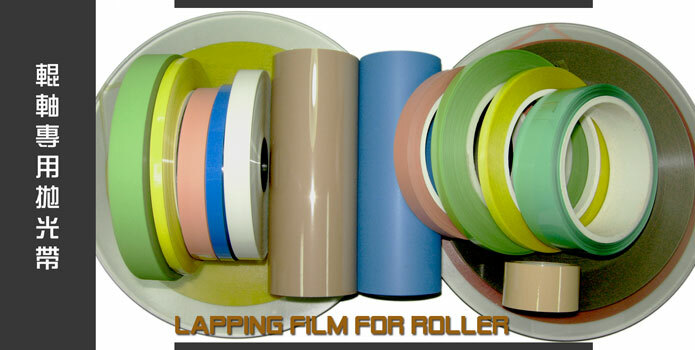 Lapping film for roller| Industry Lapping Tape | Material | End Mills,tool,carbide Cutting tools & Drill-Bewise Inc.is a professional cutting tool manufacturer. BW precision polishing tape is made of advanced precision coating technology, scattered over micron, sub-micron or nano grade grinding powder (diamond, silicon carbide, alumina oxide.. etc.) with the new polymer adhesive material and coat on the surface of high-strength film, then process high-precision cutting progress. A stable product quality to achieve a very high grinding consistency. Fine and even abrasives to reach the ultra-precision polishing effect. With good strength and flexibility to achieve the expectative curved surface polishing effect. Apply to the polish way which medium is water or grinding oil.